Go mono this season with our slogan front tee with PU sleeves. 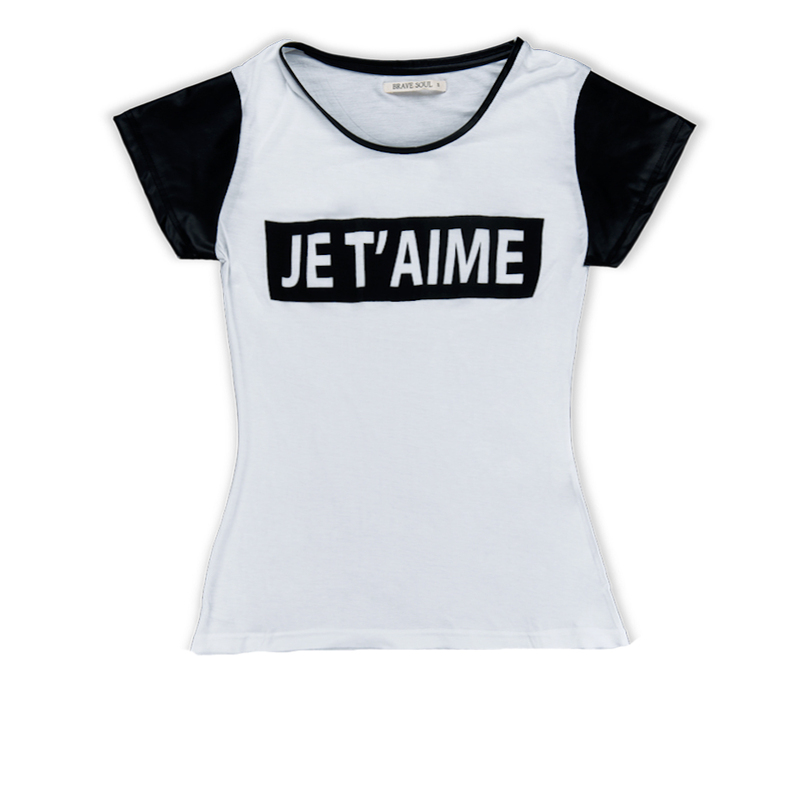 This tee is perfectly on trend and can be easily transformed between a day and night outfit. For extra style points... pair with out sultry sheer panel midi skirt and your favourite ankle boots! 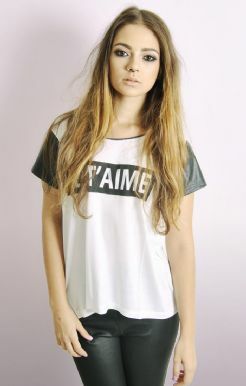 Available in 3 on trend pastel colours! Model wears a size XS. Not Sure Which Size Are You? View Our Size Guide!